Trail Magazine Gear Guide 2018 Features Criterion Again! Trail Magazine’s Gear Guide is an annual outdoors publication which features some of the best and most interesting gear in the market. As a manufacturer it is always a positive sign that products feature, as they have been selected for inclusion by the Trail Magazine’s gear testers. 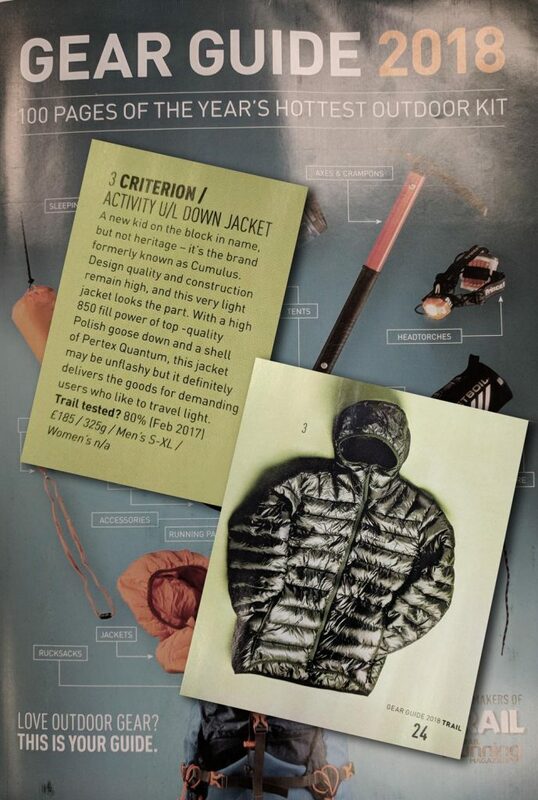 2018’s edition saw two Criterion products featured our Activity Down Jacket was selected in the warmest insulated jackets section, despite being an ultralight jacket and being significantly lighter than other jackets featured. 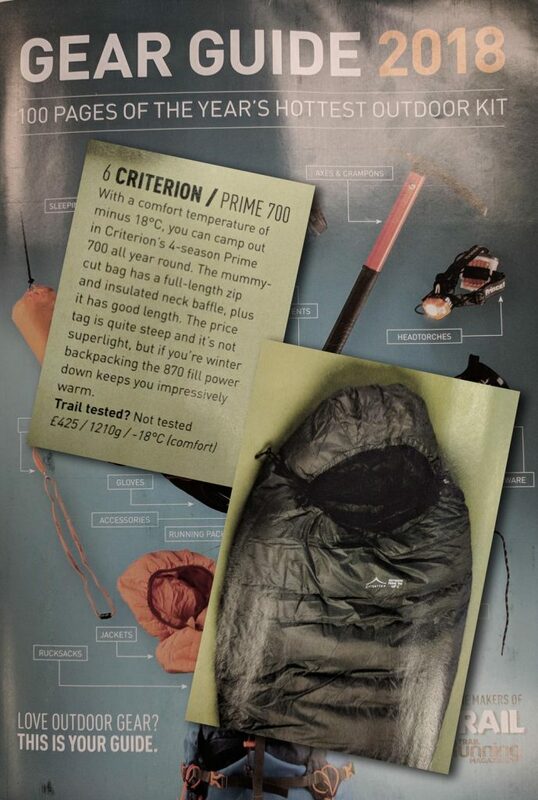 Our Prime 700 4-Season Down sleeping Bag was selected in the top sleeping bags of the year. Below are the features as they appeared in the magazine, and don’t forget our page containing all of our independent industry product reviews.